Batavia, Ohio – With one phone call to Milacron, plastics processors now can count on better parts inventory, direct access to deep technical expertise and other benefits through Milacron’s newly centralized and expanded call center in Ohio. The move to consolidate numerous customer service numbers – previously dispersed across the Americas – into one main line in Batavia brings customer service representatives together with Milacron engineers and leadership, ensuring more effective solutions and faster turnarounds. The call center also added more native Spanish speakers to better serve customers in fast-growing Latin American markets. “Consolidating our call center creates an easier and more efficient experience, allowing access to all departments – parts service, field service, ordering and more – from one line,” said Dean Roberts, President of Milacron Aftermarket. “It also improves our ability to effectively manage inventory and parts. We’ve been able to install metrics that enable better parts availability, real-time tracking, and on-time shipping.” Technological enhancements at the call center have removed steps in the ordering process, facilitating accurate real-time tracking of orders and parts availability. Call center employees can quickly see how many orders for the day go out, shipping times and availability – data that can then be analyzed to adapt to and meet cyclical ordering patterns, part demand and more. “This is just one more step in advancing our goal to be more for our customers, from installing your machine to servicing it throughout its lifetime, we’re dedicated to simplifying the customer experience,” said Roberts.Experience the new call center this spring at Milacron’s 2013 Plastics Technologies Open House, April 24 – 25. Register today and explore multiple machines and technologies in one place. 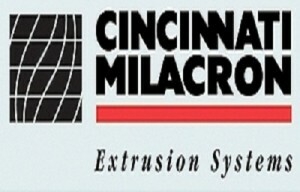 Milacron and its businesses are committed to being the leading suppliers of plastics-processing technologies and industrial fluids around the world. The people of Milacron’s companies know what matters in manufacturing, and every day, put this know-how to work to help customers improve productivity, cut costs, increase energy efficiency, eliminate scrap and reduce cycle times.